The Nautique U.S. Open captured the spirit of water skiing in the heart of Orlando Florida on Lake Ivanhoe with three Nautique athletes taking home titles. World record holder Nate Smith defended his U.S. Open Mens Slalom title running 1@43 off behind the Ski Nautique 200. Smith looked absolutely effortless with his signature style around each buoy to finish as the only skier in the tournament to challenge the 43-off pass. I could not be more excited to finish off the season with a win at the U.S. Open. This was the most difficult tournament to qualify for finals as well as take first place in the history of the sport. 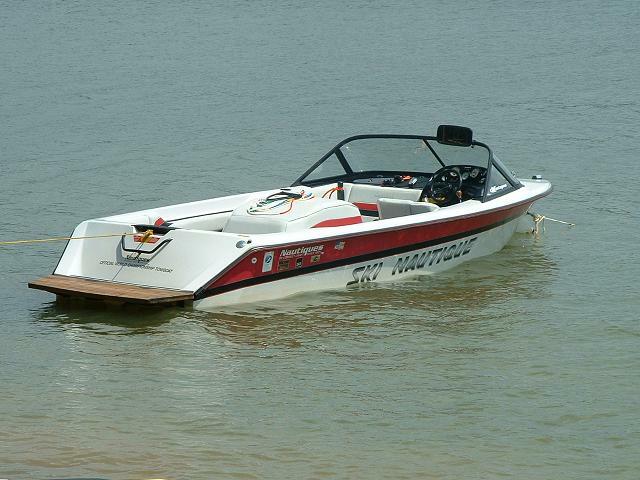 Once again, the Ski Nautique 200 has proven itself to be the best boat on the market  Nate Smith. Aliaksei Zharnasek put up a huge score of 12,020 points in Mens Tricks to take home his second consecutive U.S. Open win. With no room for error, the world record holder dominated the field executing his run flawlessly behind the Ski Nautique 200. It felt so amazing to compete and win the U.S. Open for the second year in a row. Orlando is home to many Pro waterskiers so being right here on Lake Ivanhoe made the event special. Nautique really did a great job promoting the event and our sport here in Orlando and I am happy I had the opportunity to be a part of it. I hope we have more events like this in the future held in large cities with great exposure for water sports. I cant wait for next year to come back and ski the U.S. Open behind the best boat ever, the Ski Nautique 200  Aliaksei Zharnasek. Jacinta Carroll will not let off the gas and proves once again that she cant be beaten taking the U.S. Open title for her 23rd consecutive win. Jacinta flew to 175 feet on her second jump in the final behind the Ski Nautique 200. Also taking podium finishes for Team Nautique were Whitney McClintock who took 2nd in the Womens Slalom competition and Clementine Lucine placing third. In Womens Tricks, world record holder Erika Lang placed second and Clementine Lucine came in third. Josh Briant also had an outstanding showing in the final, finishing fourth place for the weekend in Mens Tricks.